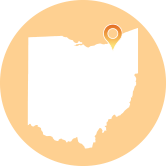 The Ohio Eighth District Court of Appeals in Cuyahoga County has emerged as a “Watch List” jurisdiction due to its reputation for handing down large damage awards and being a “haven” for class action lawsuits. The district has established a concerning pattern of issuing unbalanced plaintiff-friendly decisions, needing to be overturned multiple times by the Ohio Supreme Court. The court has become an outlier in the state, especially in light of the notable tort reform enacted by the Ohio General Assembly. Recently, the court set a dangerous precedent by allowing the barest of facts to support a punitive damages award. In Rieger v. Giant Eagle, the court upheld a punitive damages award of two times the amount of compensatory damages, even after finding the defendant’s conduct not to be reprehensible, the standard for punitive damages in the state. Plaintiff Barbara Reiger was injured at a Giant Eagle grocery store in Cuyahoga County by a motorized scooter driven by another shopper. Giant Eagle—like many grocery stores—make scooters available for their disabled shoppers. The plaintiff alleged that Giant Eagle had knowledge of prior accidents and did not properly train or screen their drivers. At trial, the jury awarded Reiger $1,198,000 in punitive damages and $121,000 in compensatory damages. While the Eighth District modified the punitive damages award to $242,000, after properly applying the state’s statutory limit on punitive damages, the most chilling part of the decision was the fact that the court allowed punitive damages to be awarded at all. The court stated that it did not find the conduct “reprehensible” because the plaintiff “did not make any reference as to what Giant Eagle could have done differently to prevent future incidents.” This type of analysis will open the floodgates of using negligence cases to gain punitive damage windfalls. The Ohio Supreme Court has accepted jurisdiction on the question of punitive damages. Another significant Eighth District appeal currently pending in the Ohio Supreme Court could have a large impact on the future of class action lawsuits in the state. Scatterfield v. Ameritech is a class action lawsuit out of Cuyahoga County with roots that go back nearly 25 years. It involves various claims under public utilities law regarding cell phones; however, the key contention is over the assertion that class approval was appropriately granted by the Eighth District. Rather than digging deeper into the underlying class action issues during the early stages of litigation, the Eighth District instructed the courts to take plaintiffs’ word as true, and fix the class later if need be. The “wait and see” method costs both parties time and money and is not in the best interest of judicial economy. It will require increased litigation at every level. A class action is to be the exception to the general rule of judicial preference of litigation between discrete parties. If the innovative approach to class action litigation adopted here by courts in Cuyahoga County is left to stand—perhaps class actions will be less exception and more new-normal. This is not the first time the Ohio Supreme Court has been asked to overturn an Eighth District class certification case. The Ohio Supreme Court has a history of doing so. The first example was in Cullen v. State Farm, when the Eight District upheld class certification even after the rigorous analysis showed that individual questions predominated over issues common to the class. The high court again overturned the Eighth District in 2013 in Felix v. Ganley Chevrolet, Inc., ruling that the Eighth District had improperly upheld class certification on an overly broad class of litigants whose damages widely differed. Class members lacked the key determination of injury as required under Ohio law. Although the Ohio Supreme Court has continuously restored fairness into the legal system by reversing the Eighth District—particularly in class-action litigation—the state’s high court has repeatedly stated that its job is not one of “error-fixing.” With the large amount of cases that are brought on appeal, it is impossible that all of them will be granted discretionary review. The onus falls on the Eighth District to realign itself as a fair and balanced court and eliminate its reputation as being a plaintiff-friendly “haven” for class action litigation. If the court does not act soon, it may find itself in unwelcomed company next year as a full-blown Judicial Hellhole.